Stress gets a bad rap, and it’s easy to see why. Short-term, day-to-day stress is blamed for headaches, insomnia, irritability, fatigue and upset stomach. 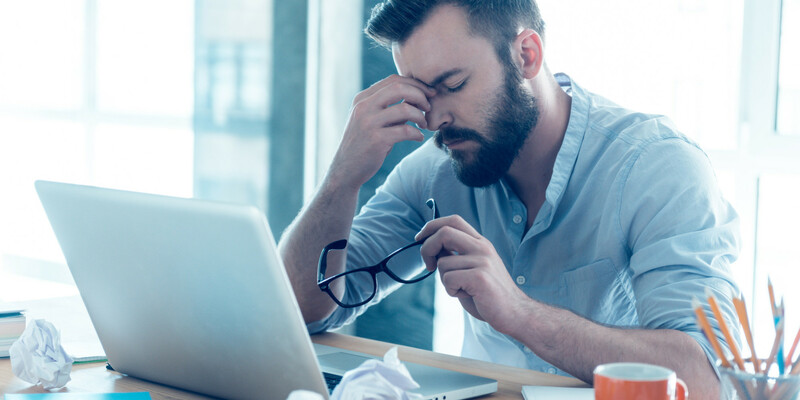 Chronic stress—like when you’ve been stewing over a problem for months on end or dealing with a traumatic experience—has been linked to heart disease, depression, weight gain (or loss), skin conditions and even infertility. And with so many people affected—an NPR survey found that one in every four people reported dealing with significant stress—it’s no wonder that a huge (and lucrative) industry has sprung up around the goal of reducing anxiety. We buy self-help books, seminars, soothing music, therapy sessions, beach vacations…all with the goal of squashing stress. As a working mom with a busy (and often demanding) family, I’m no stranger to stress. It’s easy to use it as a scapegoat for bad days or bad behavior. Snapping at my spouse, locking the keys in the car, forgetting to turn in that school form—all of it can be traced back to the “S” word. But what if, instead of focusing on cutting stress out of our lives, we embraced it? Since April is Stress Awareness Month, it seems like a fitting exercise to identify ways to use stress and anxiety to our advantage. Here are eight ways to change the way you think about—and respond to—stressful situations. 1. Identify what’s causing the stress. The first step in embracing stress is to identify its origins. According to a report by the American Psychological Association, the top four sources are finances, career, family responsibilities and health concerns—but, of course, each individual has his or her own unique worries. These can range from those run-of-the-mill stressors that don’t really have big consequences—for me, that’s trying to keep the house clean in spite of three messy daughters—to the bigger ones triggered by a major life change, such as death or divorce, or by a traumatic accident or event. The more you understand what’s causing your stress, the better equipped you’ll be to come up with potential solutions, examine alternate outcomes and take control of the situation. 2. Learn to draw energy from stress. If you view stress in a negative light, you’ll be more likely to react in destructive ways. In an interview with Stanford News Service, psychologist Kelly McGonigal says trying to fight or sidestep stress could actually be harmful. The path to greater happiness and strength lies in embracing, rather than avoiding, stress. In a research study, a Harvard professor enlisted 140 people to give a speech. Prior to the speech, some were instructed to tell themselves “I am calm,” and others were assigned the mantra “I am excited.” The latter group reported higher levels of confidence and performance during the speech than the “calmer” group. Similarly, among a group of 103 college students, those who viewed exam-related stress as helpful rather than harmful experienced less emotional exhaustion and received higher scores. This supports the idea that by using stress as energy, rather than trying to suppress it, can improve the outcome of challenging, high-pressure situations. 3. Learn from previous stressful situations. They say hindsight is 20/20, and that goes for stress as well. Think back to the last time you felt a large amount of anxiety, whether it was during home renovations, a big project at work or a family health scare. How did you deal with the stress? Did you contribute to its magnitude, or did you downplay it? Perhaps you sidestepped issues that should have been confronted, or dwelled too long on trivial details. Consider each stressful situation as an opportunity to learn and grow. Make a list of what you learned—such as, “I waited too long to ask for help with the project” or, “I should have accepted my mom’s apology and moved on”—and how those lessons can be leveraged to better handle future anxiety. 4. Focus on your reaction, not the situation. Stress may be created by a certain set of circumstances, but it’s your reaction to those circumstances that determines the outcome. For instance, if your spouse announces that the in-laws are coming to stay for two weeks, there’s probably not much you can do to change the situation, but you have full control over how you react to it. If you regard the visit with frustration and resentment, it’s not likely to end well. It’s more productive to focus on planning activities, asking your spouse for help and reminding yourself of the importance of family. When you approach stressful situations with an open mind and good-natured determination, the initial stress can turn into a motivator. When you’re juggling work, family and never-ending to-do lists, it’s easy to slide exercise to the back burner, but regular physical activity can actually help the brain deal better with stress. Research has shown that exercise produces higher levels of norepinephrine, a hormone that makes you more alert, aware and primed for response. It also releases endorphins, the feel-good chemicals that promote a sense of contentment and well-being, and reduces the stress hormone cortisol. All of this enables you to not only fight stress, but to use it as a stepping stone to your full potential. How much exercise is needed? It doesn’t have to be a lot—just a few minutes of activity each day can make a big difference in how you utilize stress. A poll by the Anxiety and Depression Association of America found that the top stress relievers are walking, running and yoga. If a medical condition prevents you from more demanding exercise, you can still reap the same benefits from massage, meditation and other low- and no-impact activities. 6. Make time for sleep. Ever notice that when you don’t get enough shuteye, you tend to have a shorter fuse and less patience for stressful situations? Sleep and stress are closely related: Spending the recommended amount of time in dreamland will give you the necessary mental energy (and patience) to not only handle stress, but to embrace it. According to WebMD’s Sleep Center, most adults will be better equipped to tackle stress after getting seven to nine hours of sleep per night. And the benefits go both ways: When you handle stress better, your sleep patterns won’t be interrupted (as much) by late-night worries. Some keys to improving your quality of slumber include creating an environment conducive to sleep, following the same routine every night, limiting foods and beverages three hours before bedtime and using natural sleep aids, like herbal teas or chamomile. 7. Pay attention to nutrition. When you’re stressed, you may be tempted to drown your frustrations in a pint of ice cream or an unhealthy fast food meal, but a poor diet will only make it more difficult to tackle challenges. By ditching the junk food, limiting refined sugars and eating healthy, well-balanced meals, you’ll be better equipped to use stress to your advantage instead of allowing it to derail your day. 8. Keep a stress journal. Sometimes the simple act of writing down your worries can make them seem more manageable. As you make a list of the problems you’re facing, you can think through potential solutions without external pressures. Keeping a diary can also help you feel more in control of your circumstances and gain a new perspective. For example, as you write down your concerns about getting transferred to a new department at work, you might realize that the transition could actually be an opportunity to tap into new talents and push to your full potential. It can also be helpful to start each day by making a list of action items, which helps keep you organized and ahead of your stress. What role does stress play in your life? What strategies are most effective in helping you deal with (and make the most of) stressful situations?